At the most recent Free RPG Day held at Games Plus in Mount Prospect, IL, I was able to get an exclusive product from Blue Panther, LLC. 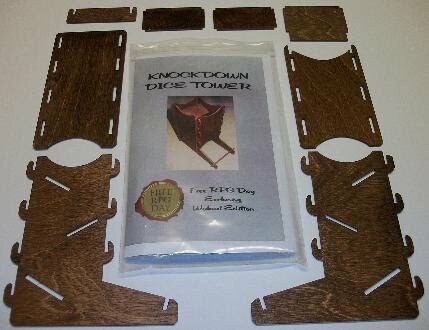 It was their Free RPG Day edition, walnut finish, Knockdown Dice Tower (here's one on ebay, not mine!, for just a little while longer). I have to say that this is one useful little accessory, assembled easily and stores flat. 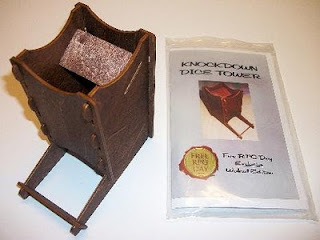 I have a dice tray that often seems cumbersome when gaming away from home and this dice tower just might be the new toy to supplant it.